Developed by the acclaimed Digidesign® Advanced Instrument Research (A.I.R.) group and optimized exclusively for Pro Tools®, Structure LE is an advanced sample player that provides many of the same powerful and creative features as its big brother, Structure , for a fraction of the price. Structure LE doesn't bother with all of the multifaceted details of sample mapping and in-depth editing as Structure does; instead it allows you to focus on quickly and easily integrating a wide range of samples into your Pro Tools sessions and tweaking them to create your own unique sounds — from the simple to the complex. 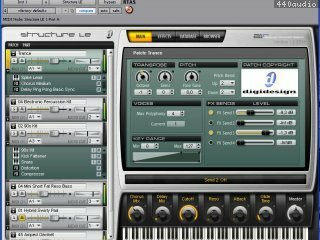 Structure LE comes with a professional 3 GB sound library from A.I.R. to get you started, though it also plays nice with native Structure samples and your unencrypted sound libraries. 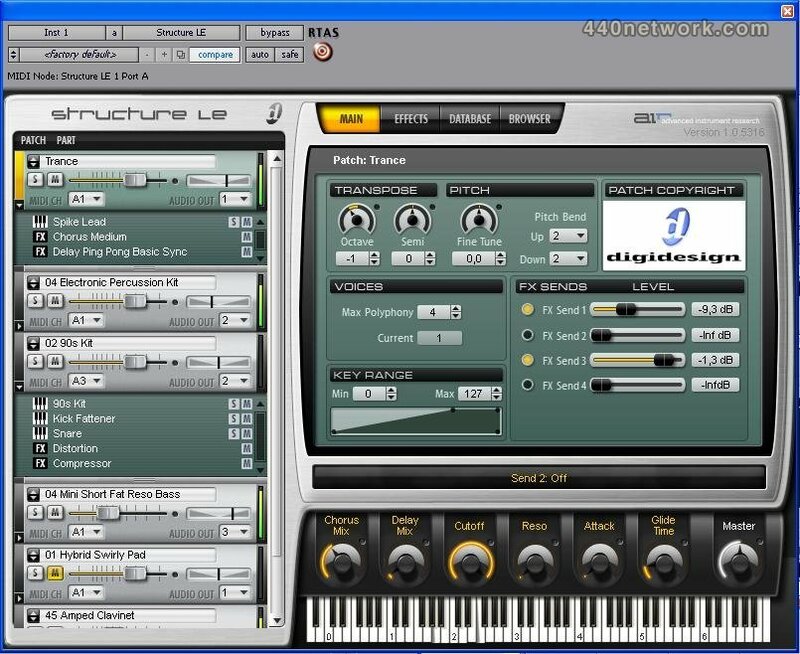 It also features an advanced multitimbral sound engine that handles even the most complex sounds and a powerful multi-effects processing engine to enhance your sonic creations. And like its big brother, Structure LE delivers exceptional performance and unprecedented reliability to keep your creativity flowing. - Includes professional 3 GB sound library from A.I.R.